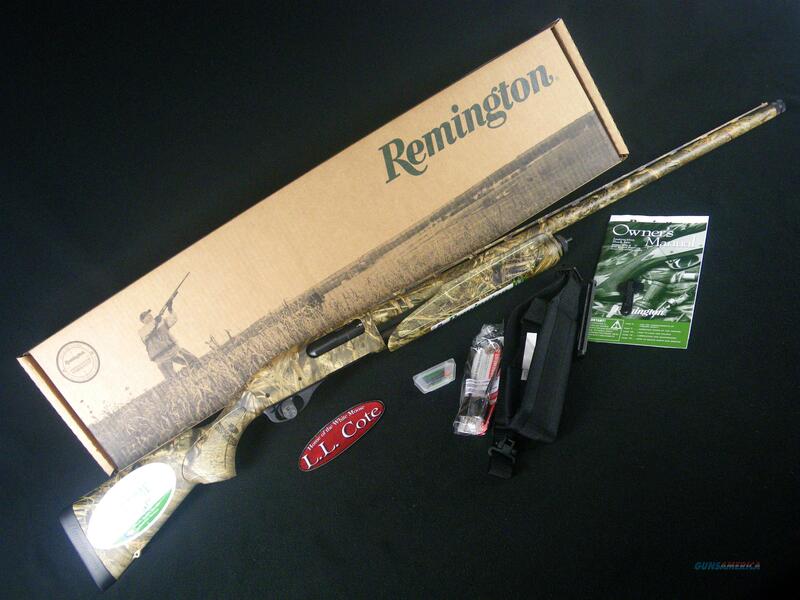 Description: You are bidding on a Remington Model 870 Express Super Magnum in 12ga with a 28" barrel and 3.5” chamber. Well-Dressed for wetland supremacy. Its solid, ultra-dependable action makes it America's favorite. If you could throw the lid off every duck blind you'd probably see more Model 870 Express pumps than any other shotgun. It's been the standard for slide-action performance for more than 50 years. And because it's a Super Magnum, it handles everything from light 2 3/4" loads to heavy 3 1/2" magnums, it's the standard for versatility as well. Our Model 870 Express Super Magnum Waterfowl is just the bird slayer you've been waiting for. It cycles 2 3/4", 3" and 3 1/2" 12-gauge rounds interchangeably and features full Mossy Oak Duck Blind camo coverage that blends into everything from corn fields to the flooded timber. Displayed images are stock photos. Any questions please feel free to ask (our phone number is in the additional information tab above).